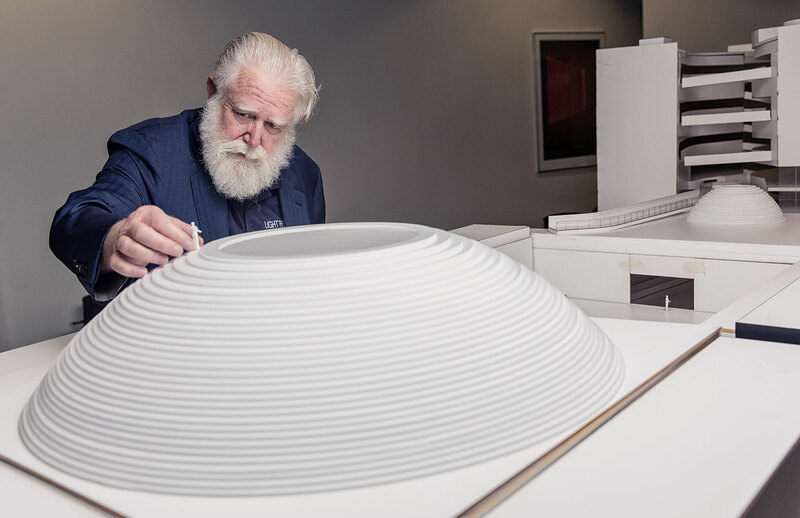 Artist James Turrell is collaborating on a new subterranean gallery and pair of installations – including a monumental, 40m-wide dome – for the ARoS Aarhus Art Museum in Denmark. 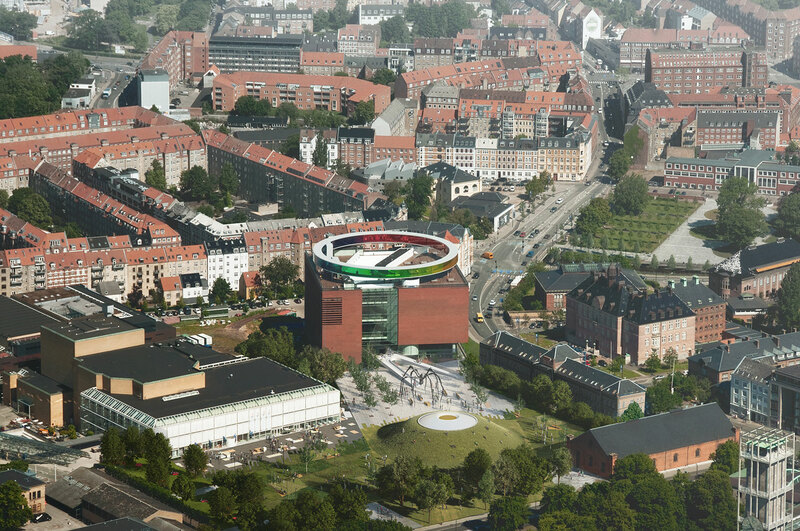 The new spaces are part of a major extension project entitled The Next Level, which is being completed in partnership with Schmidt Hammer Lassen Architects – who designed the original building – and Erlend G Høyersten, the director of the museum, which held its inaugural ARoS Triennial this year. 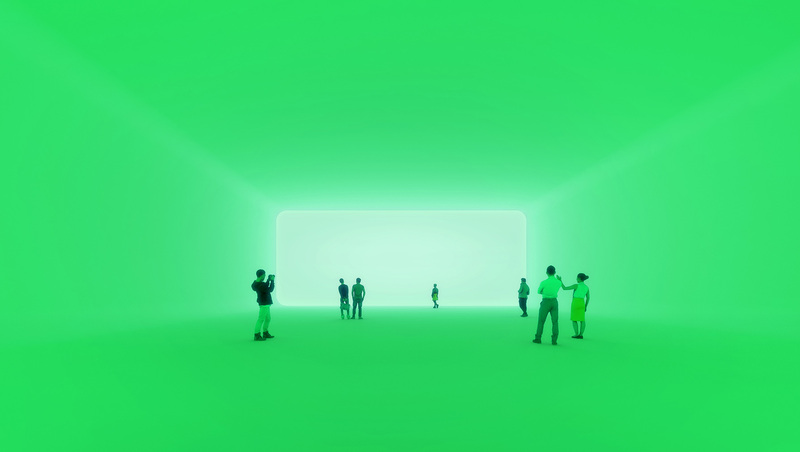 ARoS Aarhus Art Museum’s new additions will be typical of James Turrell’s approach, relying on light to guide visitors around the galleries and exhibition spaces. 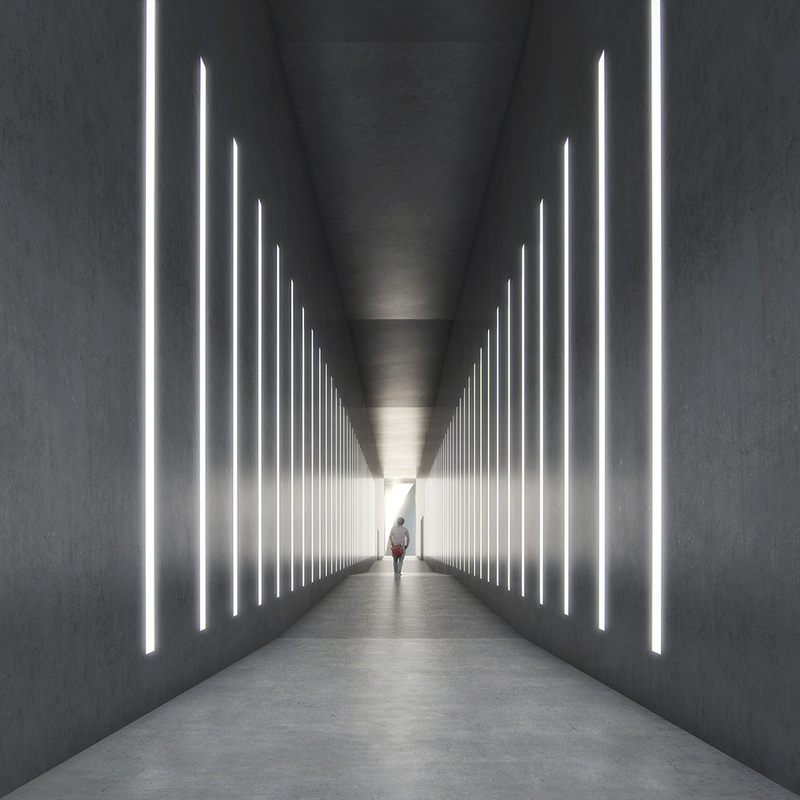 The rooms lie almost 120 metres beneath the surface, and are invisible from above ground. 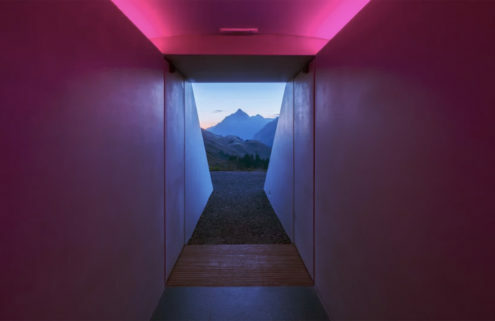 Hallways are lit with stark stripes of light and, in one of the spaces, visitors will be immersed in a light field of gradually changing colour – a recurring feature of the artist’s work. 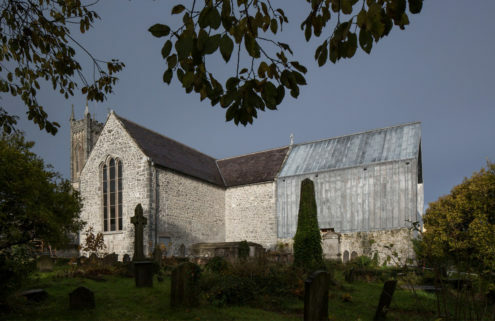 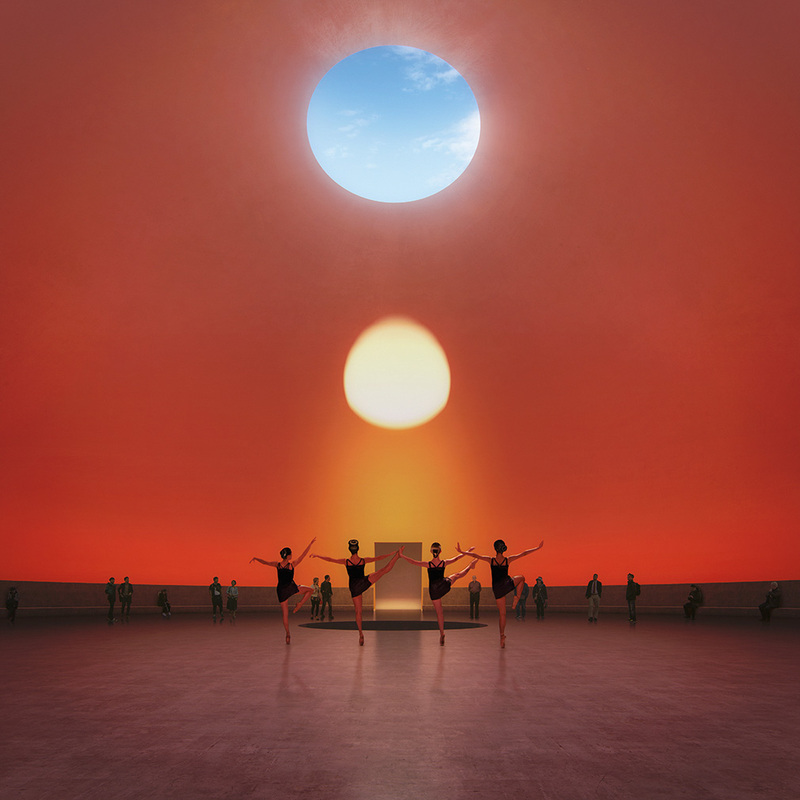 Turrell has also designed The Dome – a semi subterranean gallery for performance art. 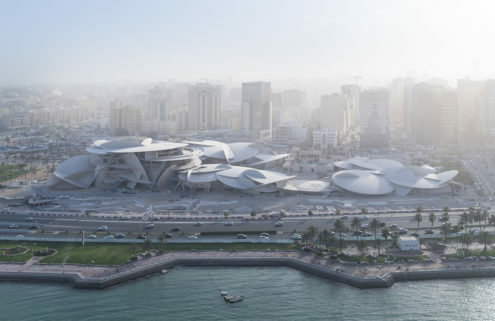 Its curved, grass-covered exterior is punctuated at the top with a single hole, which will allow visitors to catch glimpses of the sky above. 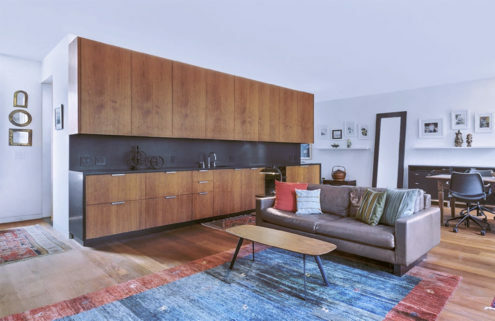 It echoes the artist’s series of Skyspaces, which feature completely enclosed rooms with a single opening, or skyhole, cut into the roof.